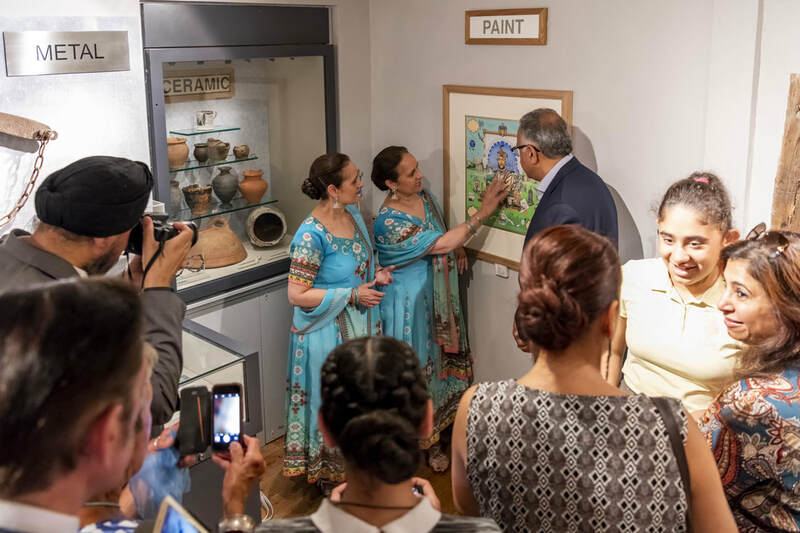 An extraordinary painting recording the life and death of Maharajah Duleep Singh by renowned British contemporary artists, The Singh Twins, is coming to Thetford’s Ancient House Museum as the centrepiece of a new exhibition marking the 125th anniversary of his death. On loan from National Museums Scotland, the colourful painting, entitled The Casualty of War, is a fascinating examination of the two cultures – British and Punjabi – which shaped the life of Duleep Singh, the last Sikh ruler of the Punjab who lived at Elveden Hall. The Singh Twins themselves will attend the launch of the exhibition on Saturday 7th July. 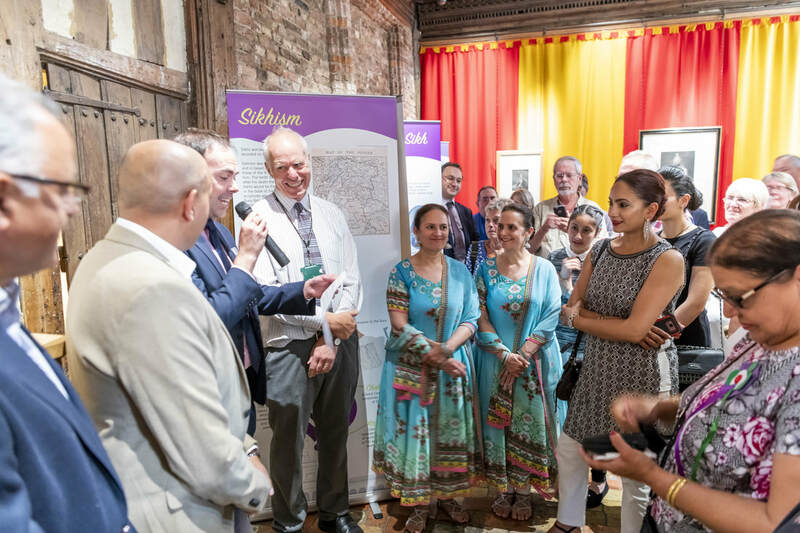 The exhibition (7th July – 1st December) is part of a major cultural festival, The Festival of Thetford and Punjab (7th – 21st July) supported by the Heritage Lottery Fund, celebrating and exploring the story of Duleep Singh and his legacy and the wider cultural links between the town and the Punjab. Alongside their exhibition, Ancient House Museum is hosting a packed schedule of events as part of the Festival, including special free family event days, talks and a fantastic finale! Families are invited to special free event days on Saturday 7th July, Saturday 14th July and Saturday 21st July. On 7th July the focus will be the fascinating lives of the Maharajah’s children - discover the role Princess Sophia and Princess Catherine played in the campaign to secure Votes for Women, find out about Prince Frederick and Princess Sophia’s work during the First World War and learn about museum’s special link with the family. On Saturday 14th July visitors can discover the extraordinary life of the Maharajah himself. Both events offer a chance to meet costumed characters and handle real historical objects from the time, with activities for all the family. Throughout the festival there is the opportunity to “Spot the Khanda” (a symbol of Sikhism) – this family friendly trail includes an opportunity to win a small prize for just 50p. On Thursday 12th July Fraser Harrison, author of newly released Duleep Singh’s Statue, will be giving a talk exploring the many intricate aspects of the Casualty of War painting. He will show how the painting pictorially tells the story of Duleep Singh’s life, and will compare the painting with the modern bronze equestrian statue of the Maharajah on Butten Island. On Thursday 19th July Parmjit Singh will speak about ‘Faces from a Lost Empire: Photographing the Court and Camp of Maharajah Ranjit Singh’. Parmjit Singh, co-founder of the UK Punjab Heritage Association will present a remarkable collection of 19th Century photographic portraits and studies of people, places and events that helped to create a golden age for the empire of the Sikhs. Also on the 19th July, Ancient House Knit and Knatter group will welcome a group from the Gura Nanak Durbar Guardwara Day Centre in Gravesend - part two of a textiles cultural exchange that saw the Ancient House Knit and Knatter group visit the Guardwara in May. The two groups have been sharing their different skills and a joint textile piece will be on display at Ancient House during the Festival. The finale of the Festival Programme on Saturday 21st July will see the museum opening its doors for free all day. History Club members (aged 6 to 11 years) are offering a Takeover Tour from 10.30am until 11.30am (free event but booking required). The Festival will finish on a high in the evening from 8.00pm until 10.00pm with a Z List Dead List comedy night with Iszi Lawrence from BBC Radio 4’s Making History, British Museum Membercast and Z List Dead List. She will be joined by guest ‘Historian’ Doug Segal, as seen on BBC 1’s New Year’s Eve show and at the Latitude and Green Man festivals, to discuss forgotten people from history, including Princess Sophia Duleep Singh, the Maharajah’s pioneering suffragette daughter. Maharajah Duleep Singh was the last Sikh ruler of the kingdom of the Punjab in northern India. Wars with the British in the 1840s ended when the young Duleep Singh surrendered his lands and possessions (including the Koh-I-noor diamond). He came to Britain, was befriended by Queen Victoria and settled into family life at Elveden Hall, near Thetford. In time however unhappiness over his treatment led him to rebel against the British authorities. His plans led to nothing and he died a broken man. Duleep Singh’s second son, Prince Frederick was the founder of the Ancient House Museum. He lived at Blo Norton Hall, near Thetford and took a keen interest in local history amassing a fine collection of books, paintings, prints and archives. Duleep Singh is depicted in all his splendour as the artists imagined him in his rightful position as Sikh emperor of the Punjab. He wears the Sikh turban, the royal seal ring and the imperial black plume of Kingship. He is adorned with some of the most famous jewels from the Lahore Treasury including a ruby necklace, an emerald belt and, around his left arm set between two drop-shaped diamonds, the legendary Koh-i-Noor diamond, the ultimate symbol of sovereignty and power. The Singh Twins have depicted the Maharajah’s life in a series of symbolic images within the painting, including his early life in Lahore, his schooling in British tradition and customs and the resulting tensions with his Sikh heritage, his status as Britain’s first resident Sikh and his relationship with his British guardian, Sir John Login. In style the painting draws on the long Indian miniaturist tradition with its use of minutely observed details and jewel-like colours, but uses a larger scale.19th century Indian miniaturist traditions are included in the Duleep Singh exhibition.